AT&T has issued an official response to the FCC's report on their attempted merger with T-Mobile. And boy do they get feisty! 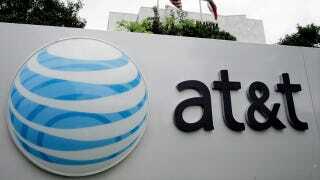 AT&T spends much of the report crying foul against the FCC, accusing the agency of manipulating and ignoring facts, and providing faulty logic. But aside from saying the FCC is wrong, they only offer fact-based rebuttals in a few areas. The report also seemed to pay no mind to the FCC's own National Broadband Plan which called the building out of mobile broadband to rural areas a national imperative. Again, the report's argument is that rural buildout is not really an issue to be taken into account in our merger because it will occur anyway. This is at odds with virtually every FCC and Administration statement of the past year when it comes to rural buildout, and in our view demonstrates how far the report's authors were willing to go in order to ignore every single benefit of our merger with T-Mobile. Essentially, this has all turned into a convoluted clusterflock of a situation in which two monoliths have resorted to fingerpointing and spinning in an effort to gain public support. It's a fair argument that the FCC was perhaps out of line issuing this report to the public, and AT&T did end with a pledge to see this merger through if the FCC is willing to negotiate. But mostly, one gets the feeling that it's more smoke and not much fire. The full reponse from AT&T can be found here, though the faint of heart may want to take caution. UPDATE: Oh, hey! Sprint's SVP of Government Affairs, Vonya McCann has a few fingers of her own to point! "The FCC staff's Analysis and Findings provide a careful, substantive analysis of AT&T's proposed takeover of T-Mobile, consistent with the FCC's role as the independent, expert agency responsible for such merger reviews. Rather than accept the expert agency's Analysis and Findings, AT&T has chosen to make baseless claims about the FCC's process. Let's not forget that it was AT&T who tried to game the process by requesting to withdraw its merger application in the pre-dawn hours of Thanksgiving. AT&T can't have it both ways: either it wanted to have an application that would be judged on the merits or it didn't. We agree with AT&T on one point however: the public should read the Analysis and Findings on AT&T's proposed takeover."